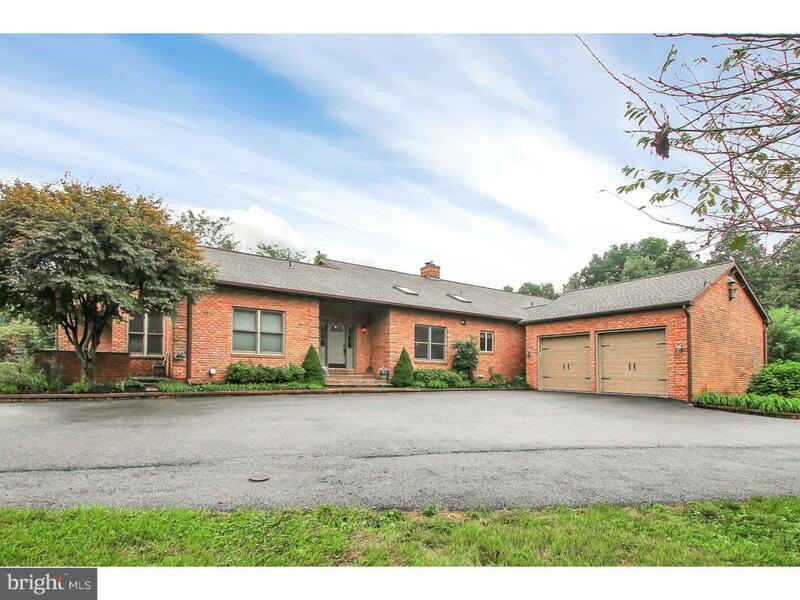 Beautiful, custom-built, sprawling ranch sits tucked away on a serene 16-acre setting in Schuylkill Valley Schools. 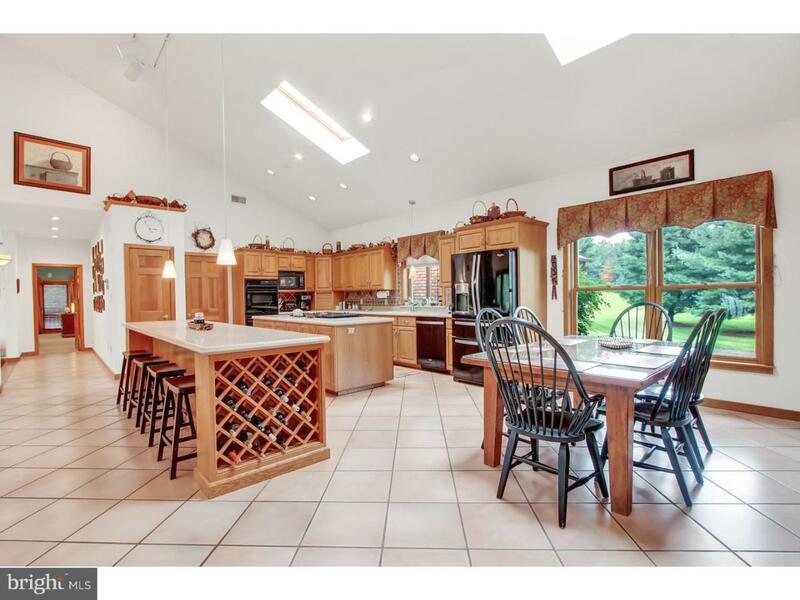 Gorgeous views and level, well-manicured grassy area surrounded by woods offer plenty of privacy. 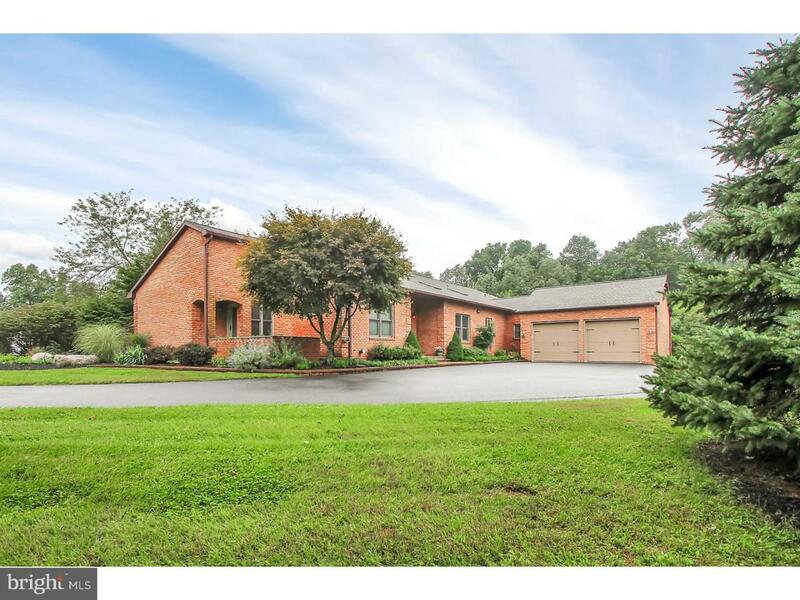 This all-brick home features 2 x 6 walls, newer Timberline lifetime roof, 3 efficient heating/cooling zones, and low-E windows. Upon entering the home, you will enjoy a large open foyer with vaulted ceilings, skylights, and an atrium. The living room boasts a floor-to-ceiling, stone, wood-burning fireplace. The dining room is inviting and large enough to include everyone for family dinners. The kitchen is every cook's dream-- 2 islands, double ovens, tons of storage and plenty of solid surface countertops throughout. The large master bedroom features a 3-sided gas fireplace, en-suite bath with soaking tub, and a huge stand-up shower. Two walk-in closets, a den, private loft, and cozy viewing deck make this the perfect retreat! Rounding out the main level are 3 additional bedrooms with generous closets and 2 full baths. The lower level offers fun for everyone. You'll be blown away by the huge custom bar with LED lighting, Uline beverage cooler, full-size refrigerator, custom cabinetry, granite counters, and even a wine cellar! Separate areas for pool table, poker table, exercise room, possible 5th bedroom, a family room with gas fireplace, and surround sound. 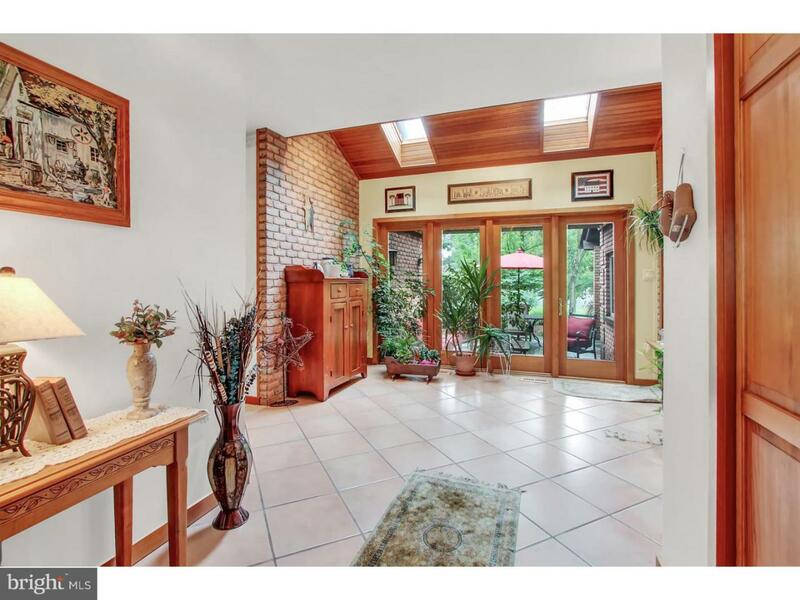 There is a beautiful covered patio that stretches across the back of the home. This can be accessed through living room, dining room, atrium, and master bedroom. The patio has outdoor speakers, lighting, fireplace a hot tub, outdoor kitchen with dining bar, and plumbed gas grill. Additional highlights throughout the home include: security system, intercom/music system, central vacuum, dusk to dawn timers, and much more. This home is sure to check off all of your boxes-- call to schedule your private showing today!